Not sure how to begin writing? Four assignments and only four weeks to go before the deadline? Then this book is for you. Find out the rules of the essay-writing game: how to muckrake for information, write drafts, handle references, and do analysis. 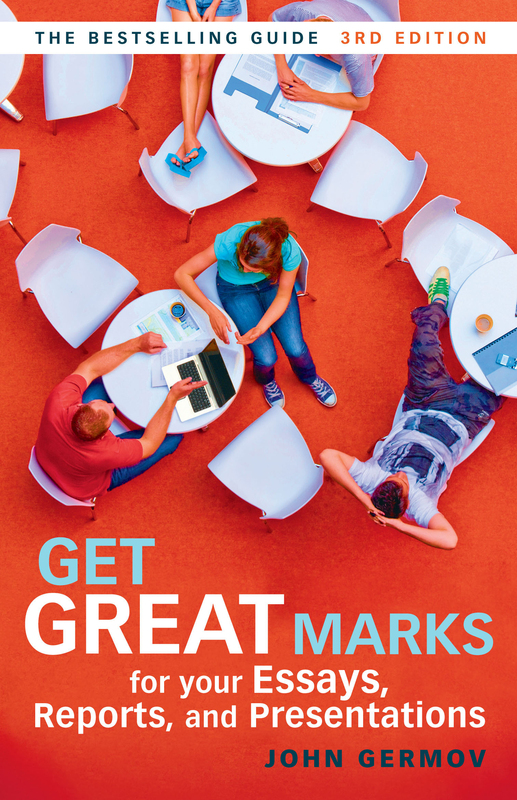 Discover where you win and lose marks. Learn how to take the right short cuts and make the most of your time. Get Great Marks for Your Essays, Reports, and Presentations tells you all you need to know to write successful essays and reports, and create attention-grabbing presentations in the social sciences and humanities. This third edition is fully revised in response to readers' suggestions and includes extensive coverage of online resources, tips for getting the best from your computer tools, and guidance on how to pitch to your audience. JOHN GERMOV is Professor, Dean of Arts, and Deputy Head of the Faculty of Education and Arts at the University of Newcastle. He has many years' experience teaching undergraduate students and is the author/editor of 14 books. 16. The end or just the beginning?